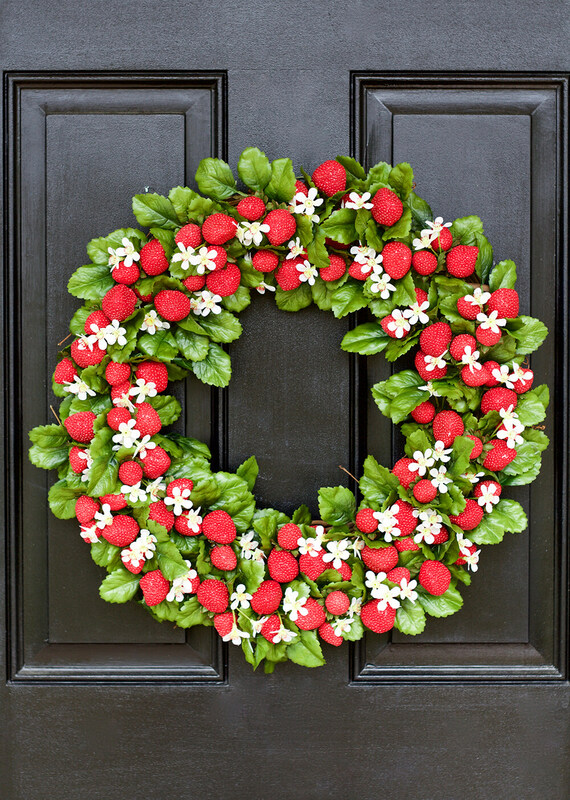 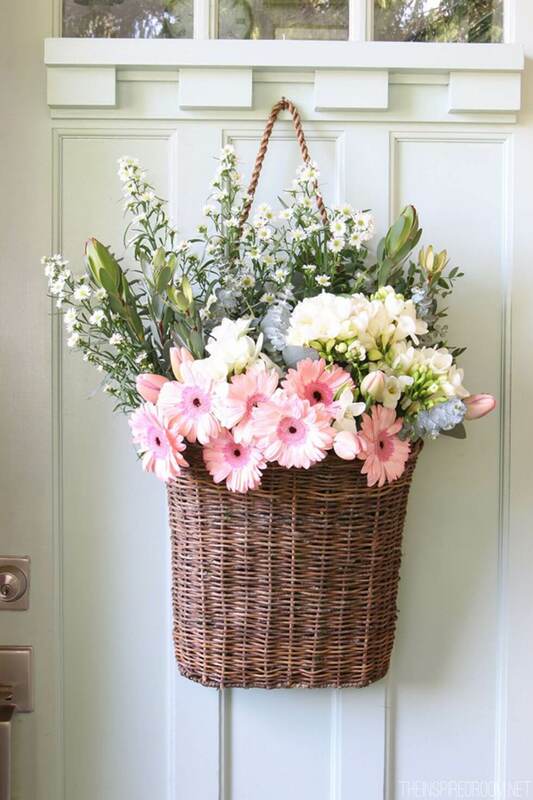 It’s time to shake off the winter doldrums and brighten your front door with a summer wreath. 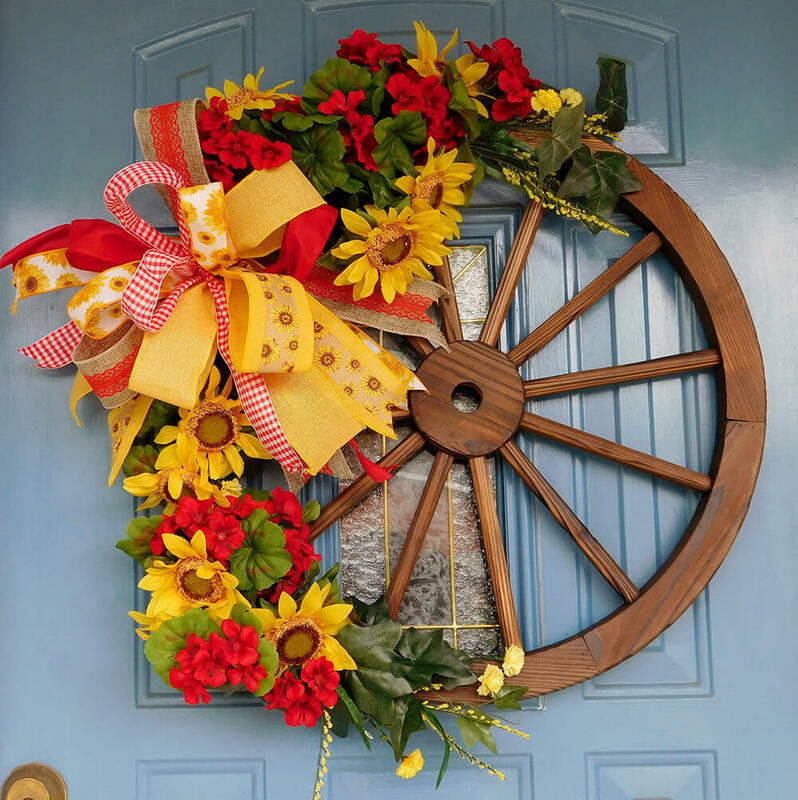 A summer wreath will welcome your guests in a cheerful way while providing a lovely accent to your home décor. 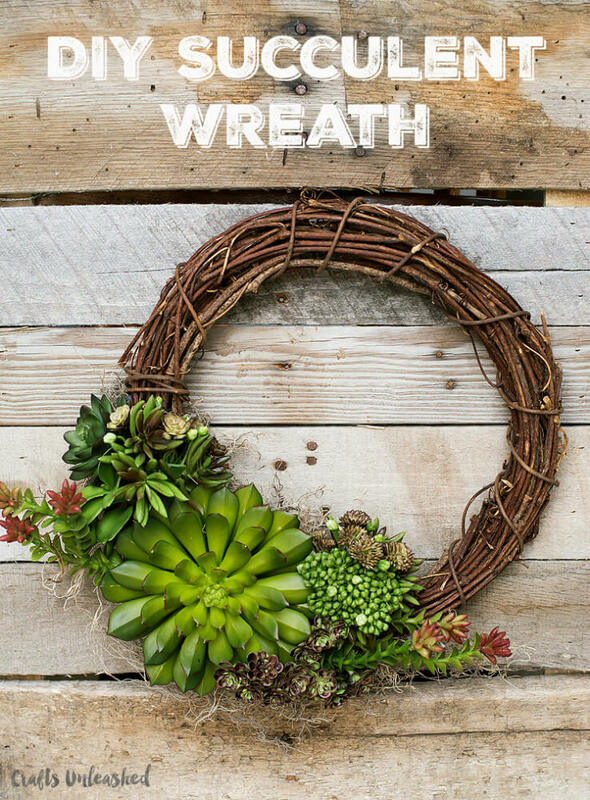 Not all of these wreaths take the traditional form. 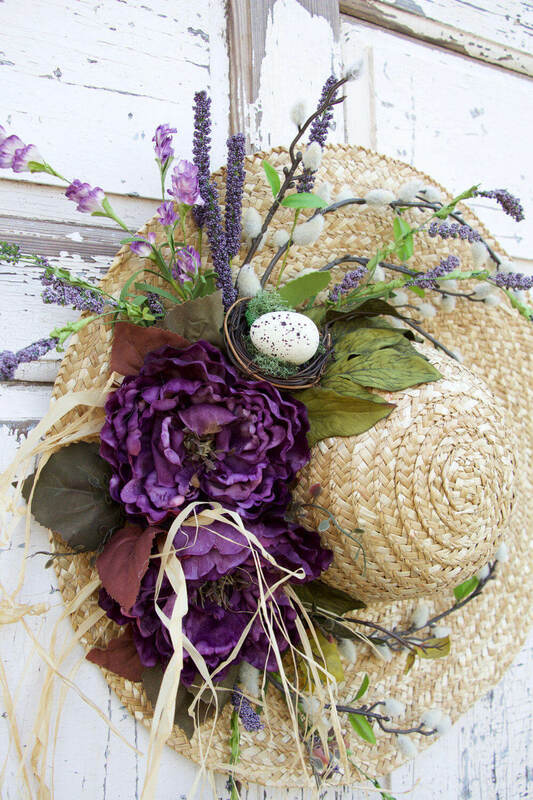 Some are made on wagon wheels or straw hats. 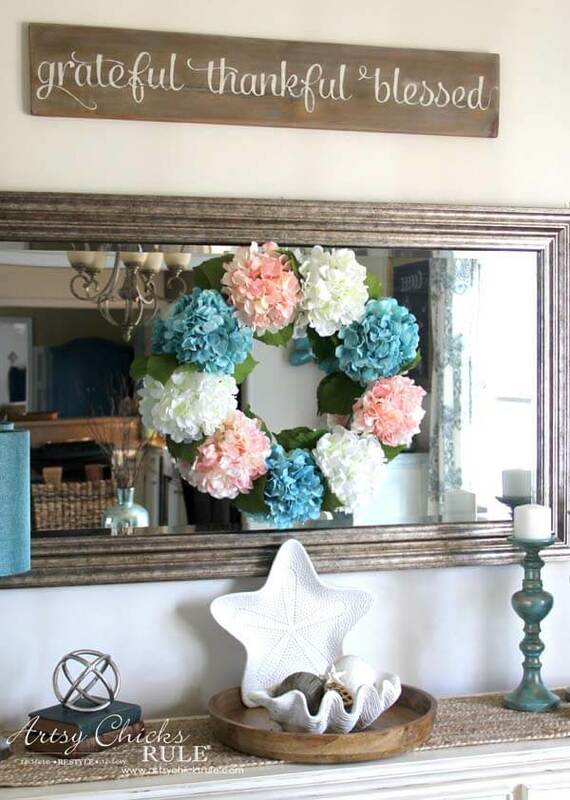 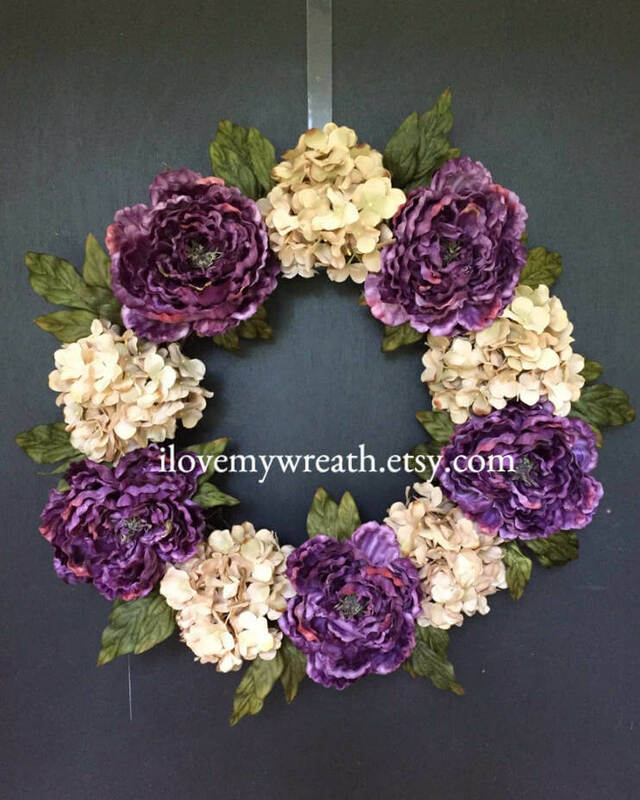 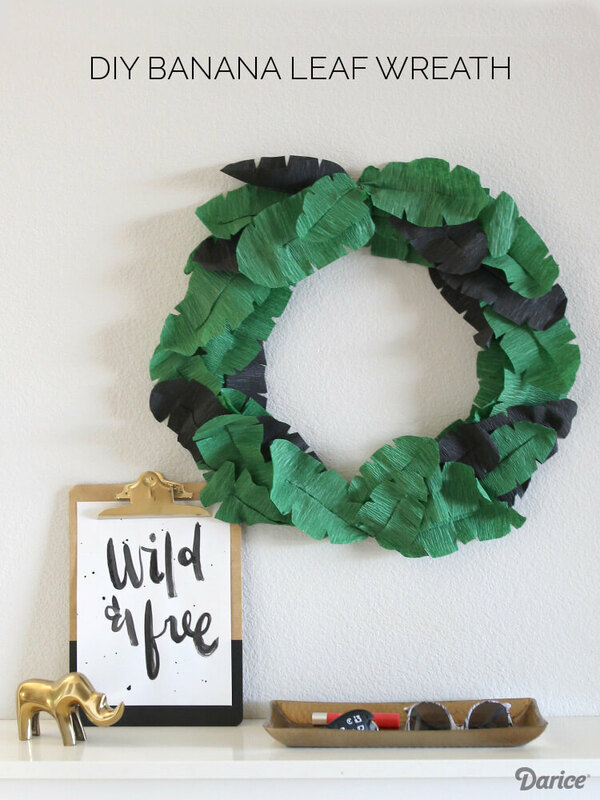 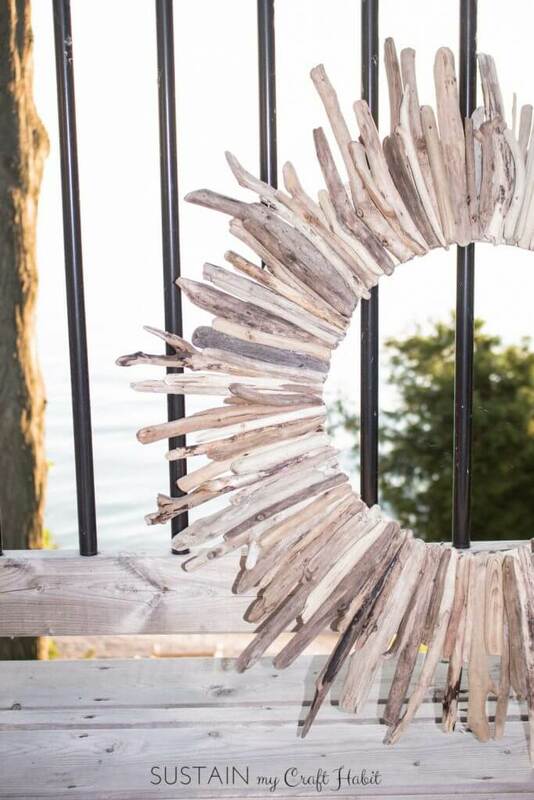 Being creative with your wreath base is a great way to let your personal style shine through. 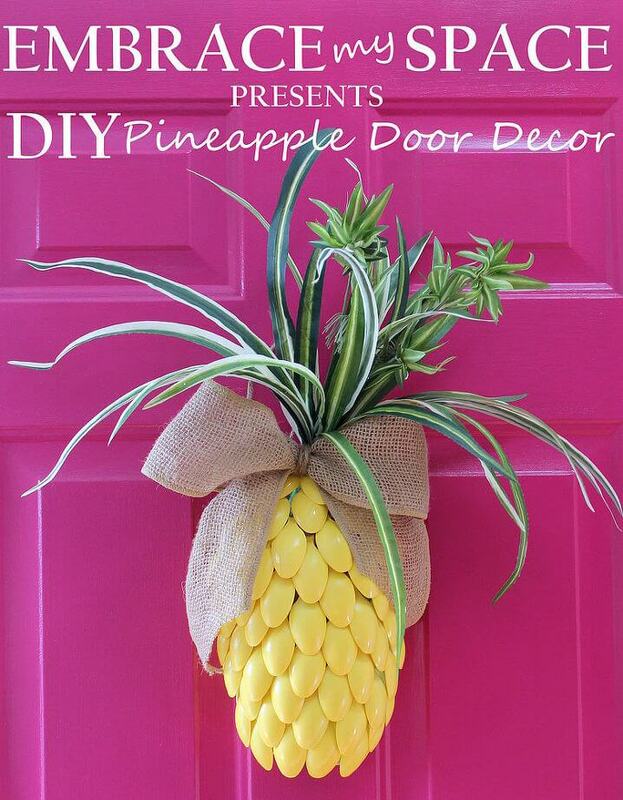 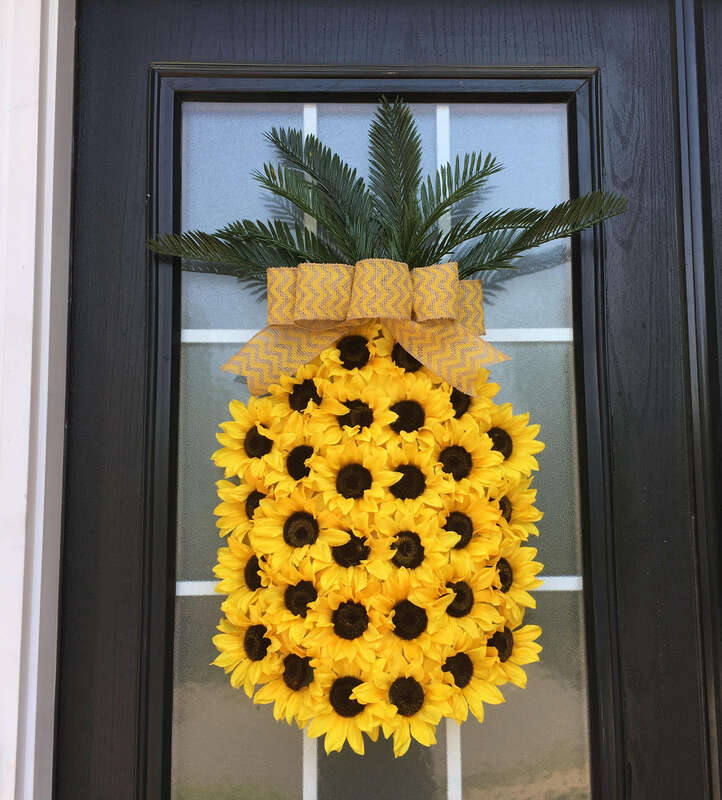 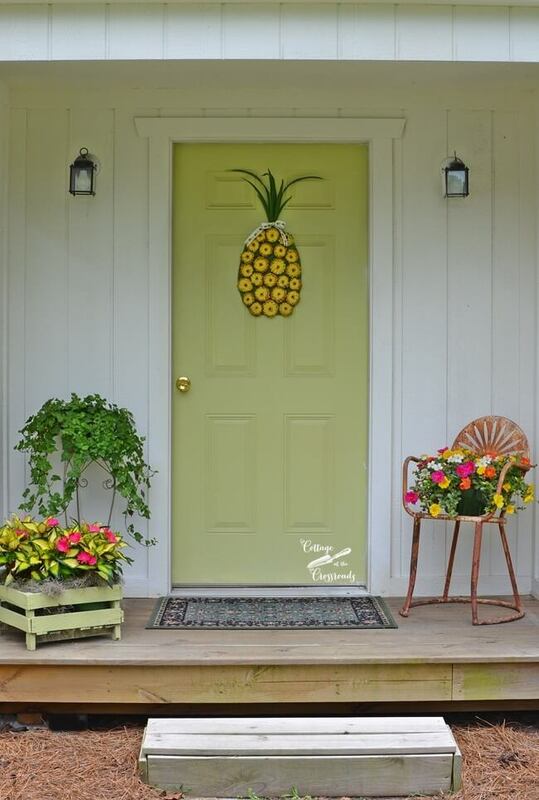 One especially creative wreath combines large sunflower blossoms to make a pineapple. 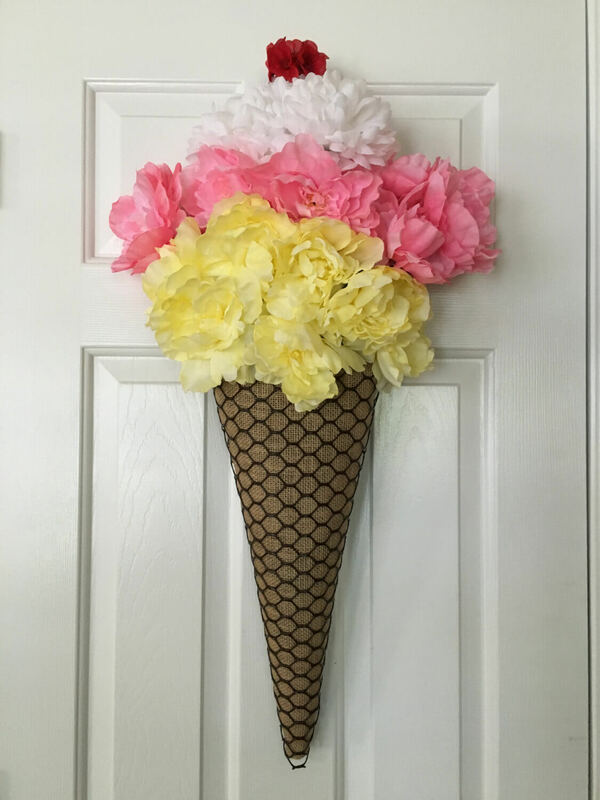 Another standout idea makes an ice cream cone out of carnation blooms and a hanging wall planter. 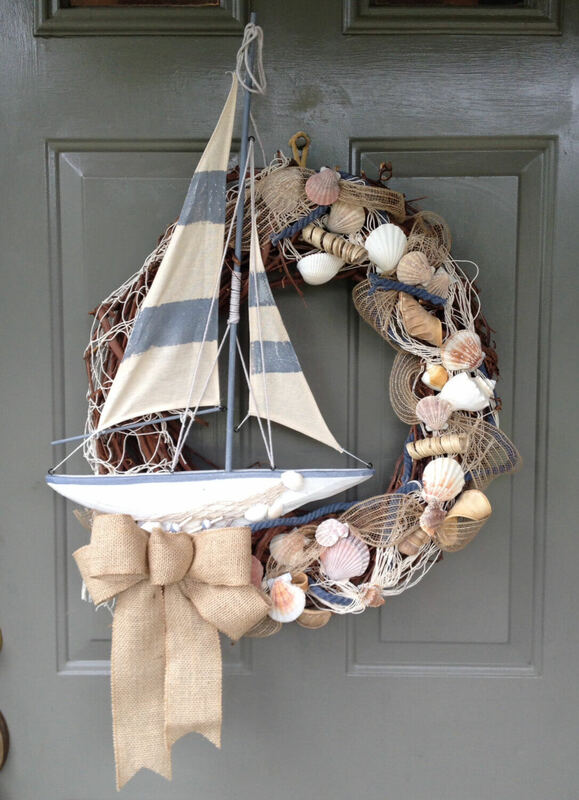 Nautical themes are popular for summertime wreaths. 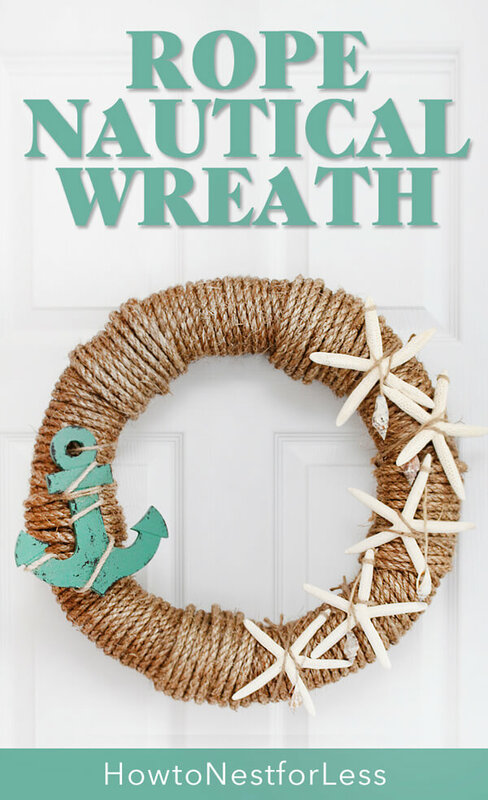 Wrapped in rope or accented with starfish, these wreaths bring a touch of the sea to your front door. 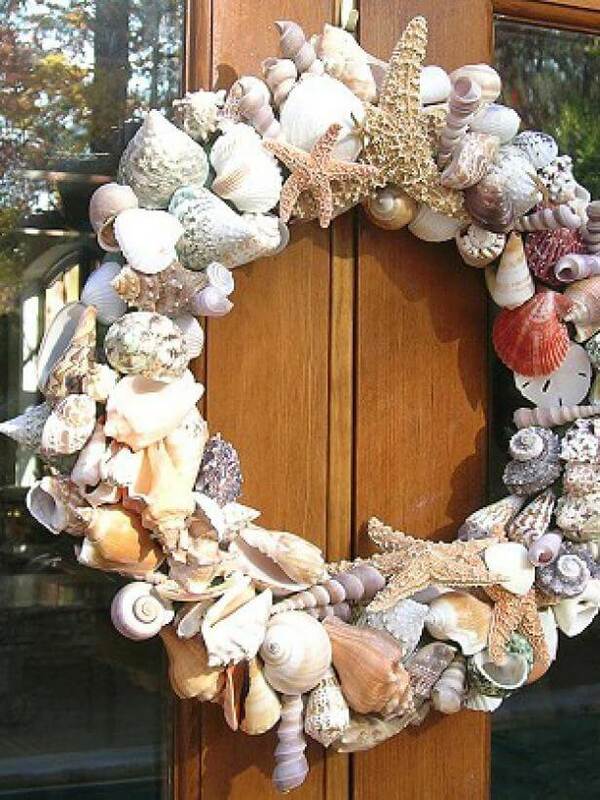 For a nautical wreath, you can go as simple as a rope wrapped base with a few seashells added, or you can go all out and create a display with a sailboat. 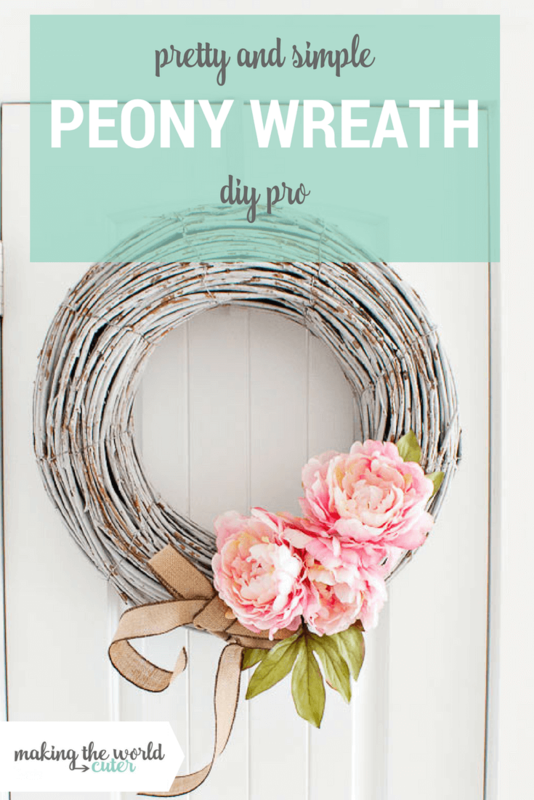 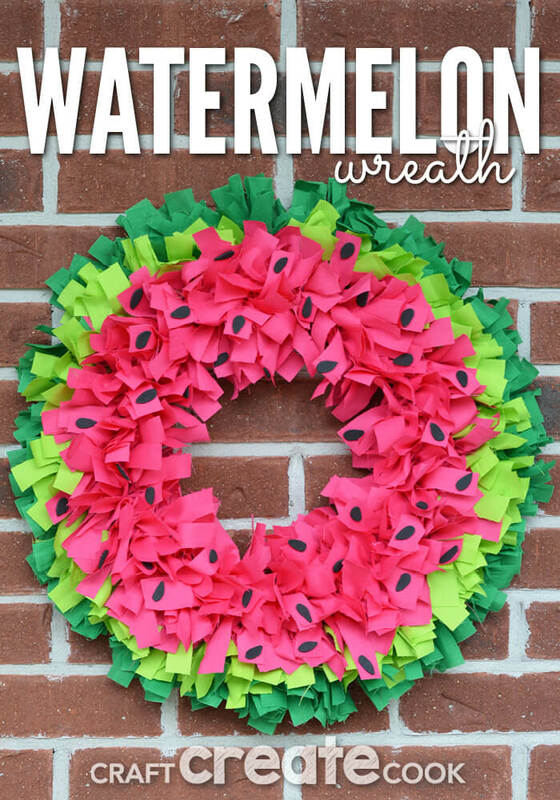 These awesome summer wreath ideas will bring color and cheer to your home while displaying your creativity for everyone to see. 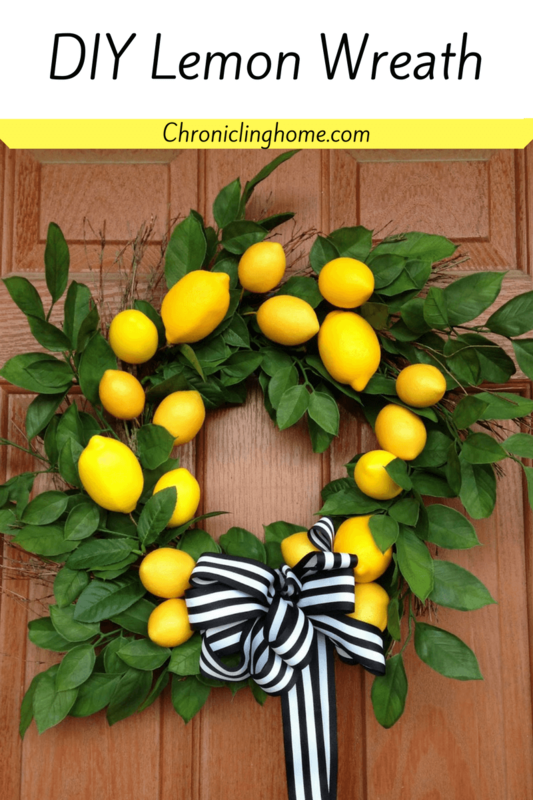 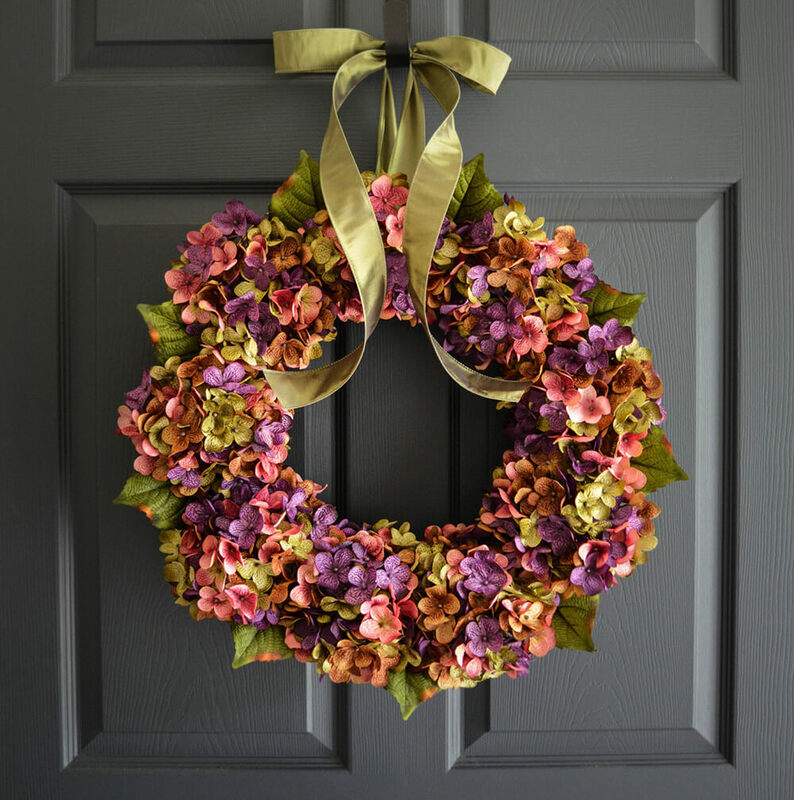 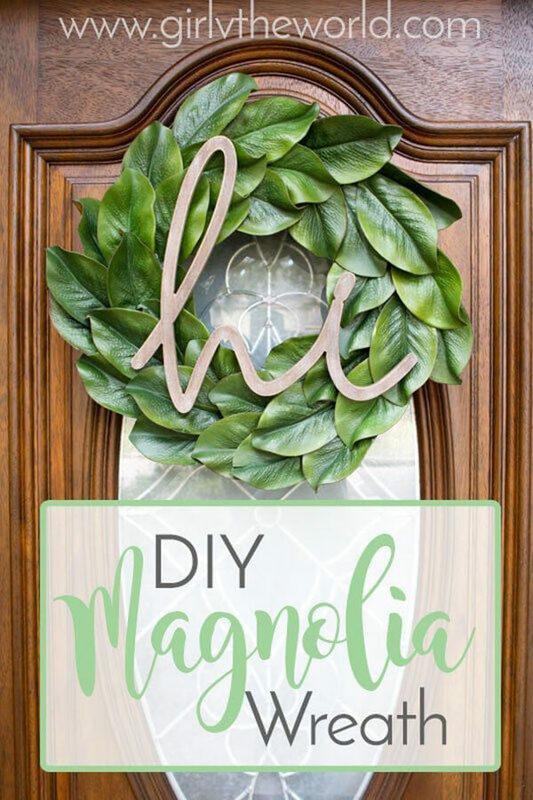 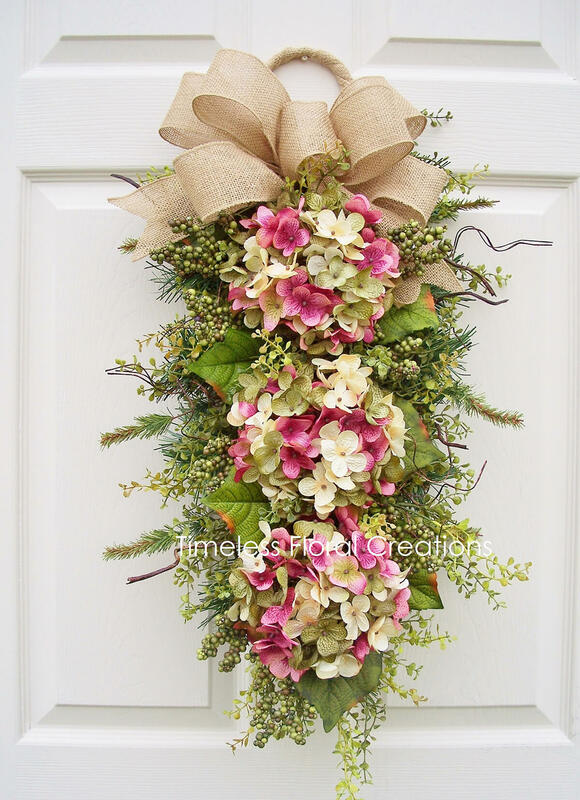 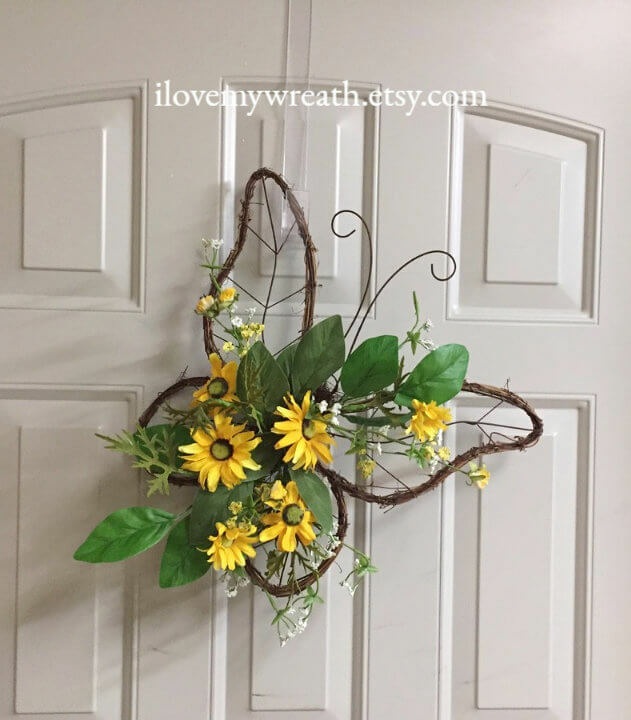 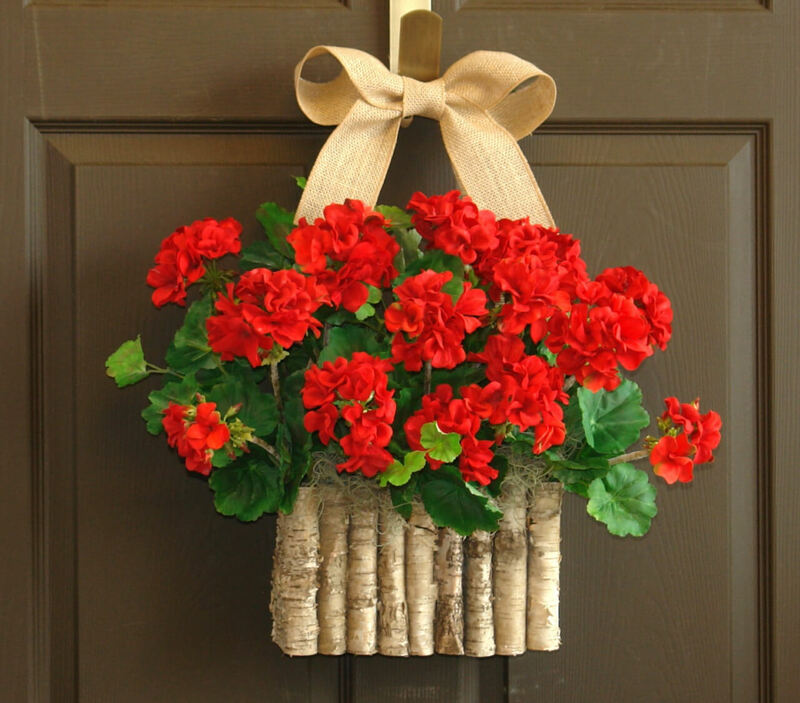 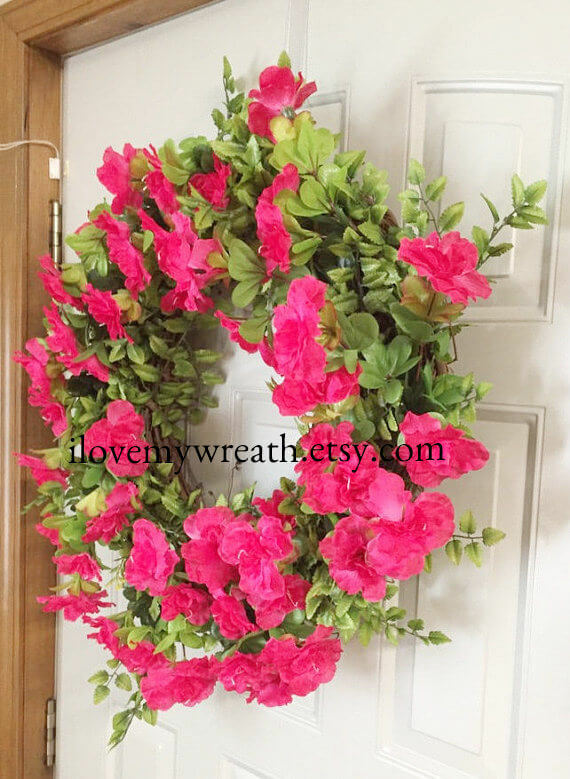 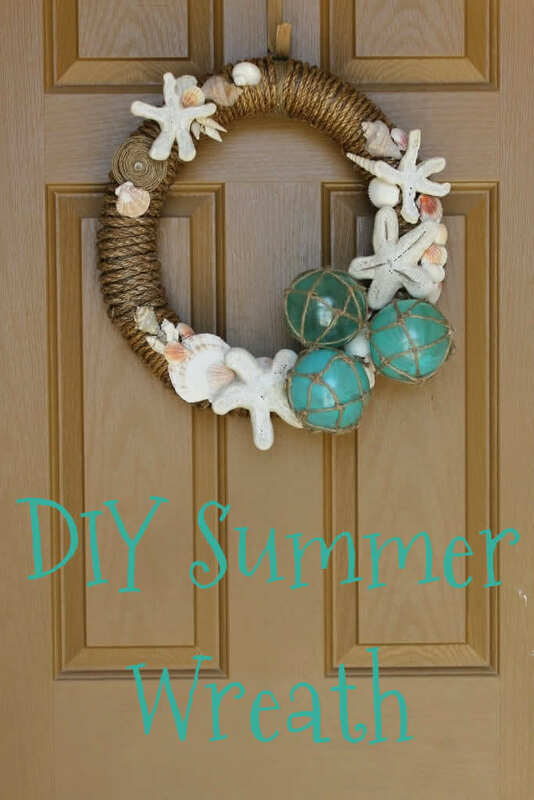 Having a summer wreath on your door will brighten everyone’s spirits. 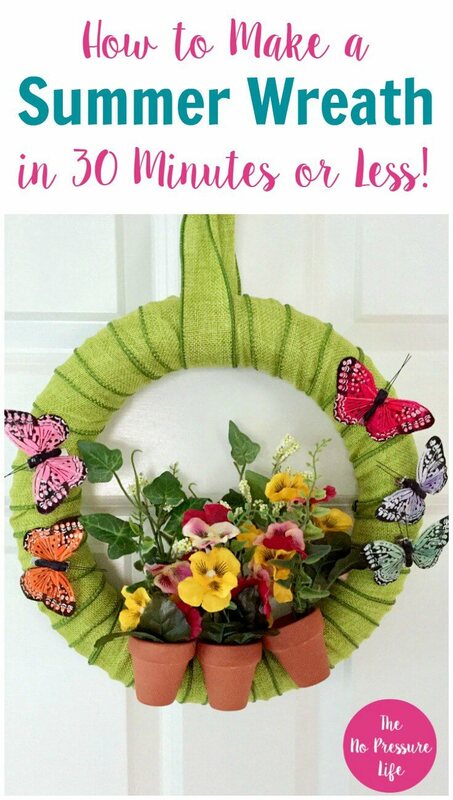 Try any one of these ideas and you’ll receive lots of compliments.